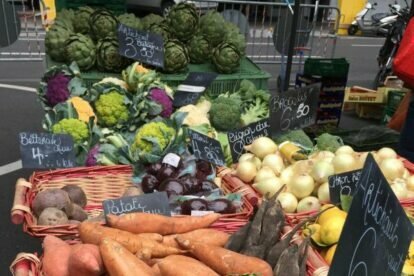 On any given Saturday (or Wednesday) morning, locals convene at the Marché de Rive, a friendly neighborhood green market in the center of town that will inspire you to cook for days. The canton of Geneva may be small, but its produce packs a punch, and Genevans love eating local. The vast majority of the stands you’ll see are run by local families selling produce from their own farms in Geneva’s countryside (the Argand family’s mixed greens for salads, direct from Corsier, are downright mind-blowing). Whatever isn’t grown or made within our borders doesn’t come from too far, with France hugging Geneva’s borders, and Italy just a few hours away. Arrive on the early side to get the best of the offer of fruits, vegetables, breads, cheeses, meats, mushrooms and flowers, all seasonal, and mostly organic. If you’re looking for more, relish a tasting of fresh made pastas, oils, olives and spices from our southern neighbors. But don’t empty your wallets completely yet – when you’ve got your bounty, stop for some rotisserie chicken and potatoes, squeeze onto a bench with the homegrown locals to drink down a bottle of one of Geneva’s simple, fresh wines, and enjoy that weightless feeling of losing track of time. And on the off chance it starts to rain, you’re in luck! Chez Gouzer is right on the market, replete with its signature oysters and crisp wines.